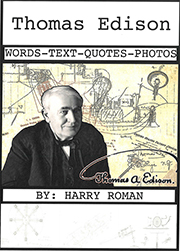 Edison’s life-long favorite science was chemistry; and a late-life fascination he had was the application of solar energy. With recent advances in the development of solar paints and coatings to generate electricity, Old Tom would be all over this technology, especially since he had a profound desire to use natural earth elements and materials in his inventions-an environmental champion many decades before it became the mantra of the 1960s/70s. First stop-Notre Dame University. Mix one-part paint, one part nano-particles, and one-part photovoltaic materials and you get solar magic…a photovoltaic collector you can paint on a surface. 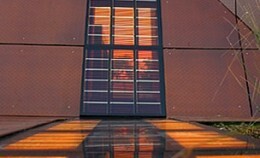 Long considered the solution to high cost solar panels, scientists and engineers have been musing for years and experimenting with ways to make solar layers so thin they could be painted onto the roofs and walls of houses. Notre Dame’s Sun-Believable paint may just have succeeded in this effort. Prashant Kamat, John A. Zahm Professor of Science in Chemistry and Biochemistry is an investigator in Notre Dame’s Center for Nano Science and Technology, and leads this research. 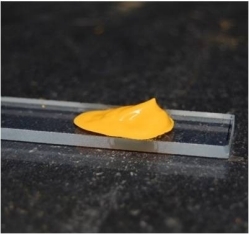 “By incorporating power-producing nano-particles, called quantum dots, into a spreadable compound, we’ve made a one-coat solar paint that can be applied to any conductive surface without special equipment.” While the qauntum dots only now can convert 1% of the sun’s energy to useful electricity, compared to conventional solar cells that can convert 10% of the radiant energy, the installation and material costs of Sun-Believable would be far lower. If this works, say goodbye to large solar arrays and bulky equipment on the roof or ground. Each quantum dot is about 2-10 nanometers in size, and can be thought of as a very tiny solar cell suspended in a special paint-based mixture. To put this into perspective, a nanometer is one billionth of a meter; approximately the length of three to six atoms placed side-by-side, or the width of a single strand of DNA. The thickness of a human hair is between 50,000 and 100,000 nanometers. Other major universities like the University of Texas at Austin, Oregon State University, and the University of Melbourne in Australia to name a few, also are working on solar paint technologies. Applications for such technology could include windows, walls and roofs; also electric vehicle roof and body panels, decks of ships, and large commercial roofs on schools, malls and large buildings. A fascinating effort by Dyesol, an Australian company, involves mimicking the process of photosynthesis using special paint pigments and dyes; not using photovoltaic materials and semiconductors embedded in the paint. Shown below is an application from Dyesol involving see through solar electric generating windows. They are expanding their business and developing other applications like flexible panel assemblies for tents, backpacks and clothing, greenhouse glass and other applications. How cool is mimicking photosynthesis, and using it to generate electricity? How much more natural can it get? 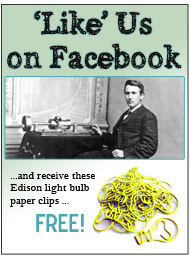 Thomas Edison would be doing this science and making solar paints, coatings and dyes at West Orange if he was alive…..for sure, dude. Remember, he made many of the chemicals he needed in his manufacturing processes; also synthesizing rubber from goldenrod plants. 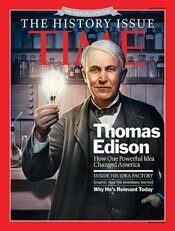 Today’s solar chemistry would have really fired him up! This entry was posted in Did You Know? 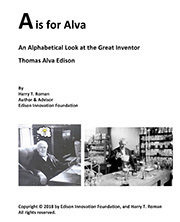 on March 19, 2012 by Edison Innovation Foundation.